2019/04/14 15:02:48 [error] 5573#5573: *90305 open() "/usr/share/nginx/htmlindex.php" failed (2: No such file or directory), client: 192.168.0.254, server: leed.monserveur.fr, request: "GET /yunohost/sso/portal.html HTTP/2.0", host: "leed.monserveur.fr"
2019/04/14 15:02:55 [error] 5573#5573: *90305 open() "/usr/share/nginx/htmlindex.php" failed (2: No such file or directory), client: 192.168.0.254, server: leed.monserveur.fr, request: "GET /yunohost/sso/portal.html HTTP/2.0", host: "leed.monserveur.fr"
2019/04/14 15:03:08 [error] 5573#5573: *90305 open() "/usr/share/nginx/htmlindex.php" failed (2: No such file or directory), client: 192.168.0.254, server: leed.monserveur.fr, request: "GET /yunohost/sso/portal.html HTTP/2.0", host: "leed.monserveur.fr"
2019/04/14 15:04:28 [error] 5575#5575: *90632 open() "/usr/share/nginx/htmlindex.php" failed (2: No such file or directory), client: 192.168.0.254, server: leed.monserveur.fr, request: "GET /yunohost/sso/portal.html HTTP/2.0", host: "leed.monserveur.fr"
2019/04/14 15:05:02 [error] 5574#5574: *88106 open() "/usr/share/nginx/htmlindex.php" failed (2: No such file or directory), client: 192.168.0.254, server: leed.monserveur.fr, request: "GET /yunohost/sso/portal.html HTTP/2.0", host: "leed.monserveur.fr"
2019/04/14 15:05:12 [error] 5574#5574: *88106 open() "/usr/share/nginx/htmlindex.php" failed (2: No such file or directory), client: 192.168.0.254, server: leed.monserveur.fr, request: "GET /yunohost/sso/portal.html HTTP/2.0", host: "leed.monserveur.fr"
2019/04/14 15:05:36 [error] 5574#5574: *88106 open() "/usr/share/nginx/htmlindex.php" failed (2: No such file or directory), client: 192.168.0.254, server: leed.monserveur.fr, request: "GET /yunohost/sso/portal.html HTTP/2.0", host: "leed.monserveur.fr"
2019/04/14 15:05:45 [error] 5574#5574: *88106 open() "/usr/share/nginx/htmlindex.php" failed (2: No such file or directory), client: 192.168.0.254, server: leed.monserveur.fr, request: "GET /yunohost/sso/portal.html HTTP/2.0", host: "leed.monserveur.fr"
2019/04/14 15:05:46 [error] 5574#5574: *88106 open() "/usr/share/nginx/htmlindex.php" failed (2: No such file or directory), client: 192.168.0.254, server: leed.monserveur.fr, request: "GET /yunohost/sso/portal.html HTTP/2.0", host: "leed.monserveur.fr"
2019/04/14 15:05:52 [error] 5575#5575: *90632 open() "/usr/share/nginx/htmlindex.php" failed (2: No such file or directory), client: 192.168.0.254, server: leed.monserveur.fr, request: "GET /yunohost/sso/portal.html HTTP/2.0", host: "leed.monserveur.fr"
2019/04/14 15:06:10 [error] 5575#5575: *90632 open() "/usr/share/nginx/htmlindex.php" failed (2: No such file or directory), client: 192.168.0.254, server: leed.monserveur.fr, request: "GET /yunohost/sso/portal.html HTTP/2.0", host: "leed.monserveur.fr"
2019/04/14 15:06:25 [error] 5575#5575: *90632 open() "/usr/share/nginx/htmlindex.php" failed (2: No such file or directory), client: 192.168.0.254, server: leed.monserveur.fr, request: "GET /yunohost/sso/portal.html HTTP/2.0", host: "leed.monserveur.fr"
2019/04/14 15:06:47 [error] 5575#5575: *90632 open() "/usr/share/nginx/htmlindex.php" failed (2: No such file or directory), client: 192.168.0.254, server: leed.monserveur.fr, request: "GET /yunohost/sso/portal.html HTTP/2.0", host: "leed.monserveur.fr"
2019/04/14 15:06:50 [error] 5574#5574: *88106 open() "/usr/share/nginx/htmlindex.php" failed (2: No such file or directory), client: 192.168.0.254, server: leed.monserveur.fr, request: "GET /yunohost/sso/portal.html HTTP/2.0", host: "leed.monserveur.fr"
2019/04/14 15:06:56 [error] 5574#5574: *88106 open() "/usr/share/nginx/htmlindex.php" failed (2: No such file or directory), client: 192.168.0.254, server: leed.monserveur.fr, request: "GET /yunohost/sso/portal.html HTTP/2.0", host: "leed.monserveur.fr"
2019/04/14 15:07:18 [error] 5575#5575: *90632 open() "/usr/share/nginx/htmlindex.php" failed (2: No such file or directory), client: 192.168.0.254, server: leed.monserveur.fr, request: "GET /yunohost/sso/portal.html HTTP/2.0", host: "leed.monserveur.fr"
2019/04/14 15:07:20 [error] 5575#5575: *90632 open() "/usr/share/nginx/htmlindex.php" failed (2: No such file or directory), client: 192.168.0.254, server: leed.monserveur.fr, request: "GET /yunohost/sso/portal.html HTTP/2.0", host: "leed.monserveur.fr"
2019/04/14 15:08:08 [error] 5576#5576: *90813 open() "/usr/share/nginx/htmlindex.php" failed (2: No such file or directory), client: 192.168.0.254, server: leed.monserveur.fr, request: "GET /yunohost/sso/portal.html HTTP/2.0", host: "leed.monserveur.fr"
2019/04/14 15:10:08 [error] 5575#5575: *90847 open() "/usr/share/nginx/htmlindex.php" failed (2: No such file or directory), client: 192.168.0.254, server: leed.monserveur.fr, request: "GET /yunohost/sso/portal.html HTTP/2.0", host: "leed.monserveur.fr"
2019/04/14 15:11:49 [error] 5574#5574: *91251 open() "/usr/share/nginx/htmlindex.php" failed (2: No such file or directory), client: 192.168.0.254, server: leed.monserveur.fr, request: "GET /yunohost/sso/portal.html HTTP/2.0", host: "leed.monserveur.fr"
2019/04/14 15:12:05 [error] 5576#5576: *91309 open() "/usr/share/nginx/htmlindex.php" failed (2: No such file or directory), client: 192.168.0.254, server: leed.monserveur.fr, request: "GET /yunohost/sso/portal.html HTTP/2.0", host: "leed.monserveur.fr"
/usr/share/ssowat/access.lua:348: in function </usr/share/ssowat/access.lua:1>, client: 192.168.0.254, server: leed.monserveur.fr, request: "GET /ynhtheme/custom_overlay.css HTTP/2.0", host: "leed.monserveur.fr"
/usr/share/ssowat/access.lua:348: in function </usr/share/ssowat/access.lua:1>, client: 192.168.0.254, server: leed.monserveur.fr, request: "GET /templates/marigolds/js/libs/jqueryAndModernizr.min.js HTTP/2.0", host: "leed.monserveur.fr"
/usr/share/ssowat/access.lua:348: in function </usr/share/ssowat/access.lua:1>, client: 192.168.0.254, server: leed.monserveur.fr, request: "GET /templates/marigolds/js/script.js HTTP/2.0", host: "leed.monserveur.fr"
2019/04/14 15:13:55 [error] 5576#5576: *91423 open() "/usr/share/nginx/htmlindex.php" failed (2: No such file or directory), client: 192.168.0.254, server: leed.monserveur.fr, request: "GET /yunohost/sso/portal.html HTTP/2.0", host: "leed.monserveur.fr"
2019/04/14 15:14:30 [error] 5576#5576: *91423 open() "/usr/share/nginx/htmlindex.php" failed (2: No such file or directory), client: 192.168.0.254, server: leed.monserveur.fr, request: "GET /yunohost/sso/portal.html HTTP/2.0", host: "leed.monserveur.fr"
2019/04/14 15:17:14 [error] 5573#5573: *91870 open() "/usr/share/nginx/htmlindex.php" failed (2: No such file or directory), client: 192.168.0.254, server: leed.monserveur.fr, request: "GET /yunohost/sso/portal.html HTTP/2.0", host: "leed.monserveur.fr"
2019/04/14 15:38:24 [error] 5573#5573: *93107 open() "/usr/share/nginx/htmlindex.php" failed (2: No such file or directory), client: 192.168.0.254, server: leed.monserveur.fr, request: "GET /yunohost/sso/portal.html HTTP/2.0", host: "leed.monserveur.fr"
2019/04/14 15:38:40 [error] 5574#5574: *88106 open() "/usr/share/nginx/htmlindex.php" failed (2: No such file or directory), client: 192.168.0.254, server: leed.monserveur.fr, request: "GET /yunohost/sso/portal.html HTTP/2.0", host: "leed.monserveur.fr"
2019/04/14 17:23:05 [error] 6261#6261: *97970 open() "/usr/share/nginx/htmlindex.php" failed (2: No such file or directory), client: 192.168.0.254, server: leed.monserveur.fr, request: "GET /yunohost/sso/portal.html HTTP/2.0", host: "leed.monserveur.fr"
2019/04/14 20:04:03 [error] 2257#2257: *7 open() "/usr/share/nginx/htmlindex.php" failed (2: No such file or directory), client: 192.168.0.254, server: leed.monserveur.fr, request: "GET /yunohost/sso/portal.html HTTP/2.0", host: "leed.monserveur.fr"
2019/04/14 20:39:27 [error] 3374#3374: *8 open() "/usr/share/nginx/htmlindex.php" failed (2: No such file or directory), client: 192.168.0.254, server: leed.monserveur.fr, request: "GET /yunohost/sso/portal.html HTTP/2.0", host: "leed.monserveur.fr"
2019/04/14 20:39:31 [error] 3374#3374: *8 open() "/usr/share/nginx/htmlindex.php" failed (2: No such file or directory), client: 192.168.0.254, server: leed.monserveur.fr, request: "GET /yunohost/sso/portal.html HTTP/2.0", host: "leed.monserveur.fr"
2019/04/15 16:00:14 [error] 9085#9085: *2494 open() "/usr/share/nginx/htmlindex.php" failed (2: No such file or directory), client: 192.168.0.254, server: leed.monserveur.fr, request: "GET /robots.txt HTTP/2.0", host: "leed.monserveur.fr"
2019/04/15 16:00:15 [error] 9085#9085: *2494 open() "/usr/share/nginx/htmlindex.php" failed (2: No such file or directory), client: 192.168.0.254, server: leed.monserveur.fr, request: "GET /yunohost/sso/portal.html HTTP/2.0", host: "leed.monserveur.fr"
lindex.php" failed (2: No such file or directory), client: 192.168.0.254, server: rss.monserveur.fr, request: "GET /yunohost/sso/portal.html HTTP/2.0", host: "rss.monserveur.fr", referrer: "https://rss.monserveur.fr/api/"
2019/04/15 03:23:21 [error] 14439#14439: *1 open() "/usr/share/nginx/htmlindex.php" failed (2: No such file or directory), client: 192.168.0.254, server: rss.monserveur.fr, request: "GET /yunohost/sso/portal.html HTTP/2.0", host: "rss.monserveur.fr", referrer: "https://rss.monserveur.fr/api/"
2019/04/15 03:23:30 [error] 14439#14439: *1 open() "/usr/share/nginx/htmlindex.php" failed (2: No such file or directory), client: 192.168.0.254, server: rss.monserveur.fr, request: "GET /yunohost/sso/portal.html HTTP/2.0", host: "rss.monserveur.fr", referrer: "https://rss.monserveur.fr/api/"
2019/04/15 03:35:47 [error] 19244#19244: *1 open() "/usr/share/nginx/htmlindex.php" failed (2: No such file or directory), client: 192.168.0.254, server: rss.monserveur.fr, request: "GET /yunohost/sso/portal.html HTTP/2.0", host: "rss.monserveur.fr"
2019/04/15 03:35:54 [error] 19244#19244: *1 open() "/usr/share/nginx/htmlindex.php" failed (2: No such file or directory), client: 192.168.0.254, server: rss.monserveur.fr, request: "GET /yunohost/sso/portal.html HTTP/2.0", host: "rss.monserveur.fr"
2019/04/15 03:36:04 [error] 19244#19244: *1 open() "/usr/share/nginx/htmlindex.php" failed (2: No such file or directory), client: 192.168.0.254, server: rss.monserveur.fr, request: "GET /yunohost/sso/portal.html HTTP/2.0", host: "rss.monserveur.fr", referrer: "https://rss.monserveur.fr/api/"
2019/04/15 03:54:39 [error] 20453#20453: *1 open() "/usr/share/nginx/htmlindex.php" failed (2: No such file or directory), client: 192.168.0.254, server: rss.monserveur.fr, request: "GET /yunohost/sso/portal.html HTTP/2.0", host: "rss.monserveur.fr"
2019/04/15 03:54:49 [error] 20453#20453: *1 open() "/usr/share/nginx/htmlindex.php" failed (2: No such file or directory), client: 192.168.0.254, server: rss.monserveur.fr, request: "GET /yunohost/sso/portal.html HTTP/2.0", host: "rss.monserveur.fr"
2019/04/15 03:54:55 [error] 20453#20453: *1 open() "/usr/share/nginx/htmlindex.php" failed (2: No such file or directory), client: 192.168.0.254, server: rss.monserveur.fr, request: "GET /yunohost/sso/portal.html HTTP/2.0", host: "rss.monserveur.fr"
2019/04/15 03:55:14 [error] 20453#20453: *1 open() "/usr/share/nginx/htmlindex.php" failed (2: No such file or directory), client: 192.168.0.254, server: rss.monserveur.fr, request: "GET /yunohost/sso/portal.html HTTP/2.0", host: "rss.monserveur.fr"
2019/04/15 03:55:17 [error] 20453#20453: *1 open() "/usr/share/nginx/htmlindex.php" failed (2: No such file or directory), client: 192.168.0.254, server: rss.monserveur.fr, request: "GET /yunohost/sso/portal.html HTTP/2.0", host: "rss.monserveur.fr", referrer: "https://rss.monserveur.fr/api/"
2019/04/15 03:55:19 [error] 20453#20453: *1 open() "/usr/share/nginx/htmlindex.php" failed (2: No such file or directory), client: 192.168.0.254, server: rss.monserveur.fr, request: "GET /yunohost/sso/portal.html HTTP/2.0", host: "rss.monserveur.fr", referrer: "https://rss.monserveur.fr/api/"
2019/04/15 03:55:40 [error] 20453#20453: *1 open() "/usr/share/nginx/htmlindex.php" failed (2: No such file or directory), client: 192.168.0.254, server: rss.monserveur.fr, request: "GET /yunohost/sso/portal.html HTTP/2.0", host: "rss.monserveur.fr"
2019/04/15 03:55:45 [error] 20453#20453: *1 open() "/usr/share/nginx/htmlindex.php" failed (2: No such file or directory), client: 192.168.0.254, server: rss.monserveur.fr, request: "GET /yunohost/sso/portal.html HTTP/2.0", host: "rss.monserveur.fr"
2019/04/15 11:22:05 [error] 5490#5490: *1 FastCGI sent in stderr: "Primary script unknown" while reading response header from upstream, client: 192.168.0.254, server: rss.monserveur.fr, request: "GET /i/?state=3&a=normal&get=f_49 HTTP/2.0", upstream: "fastcgi://unix:/var/run/php/php-fpm-freshrss.sock:", host: "rss.monserveur.fr", referrer: "https://monserveur.fr/yunohost/sso/?r=aHR0cHM6Ly9yc3Mua3Vtb2dha3VyZS5mci9pLz9zdGF0ZT0zJmE9bm9ybWFsJmdldD1mXzQ5"
2019/04/15 11:22:09 [error] 5490#5490: *1 open() "/usr/share/nginx/htmlindex.php" failed (2: No such file or directory), client: 192.168.0.254, server: rss.monserveur.fr, request: "GET /yunohost/sso/portal.html HTTP/2.0", host: "rss.monserveur.fr", referrer: "https://rss.monserveur.fr/"
2019/04/15 11:22:10 [error] 5490#5490: *1 FastCGI sent in stderr: "Primary script unknown" while reading response header from upstream, client: 192.168.0.254, server: rss.monserveur.fr, request: "GET /i/ HTTP/2.0", upstream: "fastcgi://unix:/var/run/php/php-fpm-freshrss.sock:", host: "rss.monserveur.fr"
2019/04/15 11:22:20 [error] 5490#5490: *1 FastCGI sent in stderr: "Primary script unknown" while reading response header from upstream, client: 192.168.0.254, server: rss.monserveur.fr, request: "GET /api/ HTTP/2.0", upstream: "fastcgi://unix:/var/run/php/php-fpm-freshrss.sock:", host: "rss.monserveur.fr"
2019/04/15 11:23:01 [error] 5490#5490: *1 FastCGI sent in stderr: "Primary script unknown" while reading response header from upstream, client: 192.168.0.254, server: rss.monserveur.fr, request: "GET /api/ HTTP/2.0", upstream: "fastcgi://unix:/var/run/php/php-fpm-freshrss.sock:", host: "rss.monserveur.fr"
2019/04/15 11:23:02 [error] 5490#5490: *1 FastCGI sent in stderr: "Primary script unknown" while reading response header from upstream, client: 192.168.0.254, server: rss.monserveur.fr, request: "GET /api/ HTTP/2.0", upstream: "fastcgi://unix:/var/run/php/php-fpm-freshrss.sock:", host: "rss.monserveur.fr"
2019/04/15 11:23:03 [error] 5490#5490: *1 FastCGI sent in stderr: "Primary script unknown" while reading response header from upstream, client: 192.168.0.254, server: rss.monserveur.fr, request: "GET /i/ HTTP/2.0", upstream: "fastcgi://unix:/var/run/php/php-fpm-freshrss.sock:", host: "rss.monserveur.fr"
2019/04/15 11:23:54 [error] 5617#5617: *3 open() "/usr/share/nginx/htmlindex.php" failed (2: No such file or directory), client: 192.168.0.254, server: rss.monserveur.fr, request: "GET /yunohost/sso/portal.html HTTP/2.0", host: "rss.monserveur.fr"
2019/04/15 11:24:13 [error] 5617#5617: *3 open() "/usr/share/nginx/htmlindex.php" failed (2: No such file or directory), client: 192.168.0.254, server: rss.monserveur.fr, request: "GET /yunohost/sso/portal.html HTTP/2.0", host: "rss.monserveur.fr", referrer: "https://rss.monserveur.fr/api/"
2019/04/15 11:24:21 [error] 5617#5617: *3 open() "/usr/share/nginx/htmlindex.php" failed (2: No such file or directory), client: 192.168.0.254, server: rss.monserveur.fr, request: "GET /yunohost/sso/portal.html HTTP/2.0", host: "rss.monserveur.fr", referrer: "https://rss.monserveur.fr/api/"
2019/04/15 11:24:23 [error] 5617#5617: *3 open() "/usr/share/nginx/htmlindex.php" failed (2: No such file or directory), client: 192.168.0.254, server: rss.monserveur.fr, request: "GET /yunohost/sso/portal.html HTTP/2.0", host: "rss.monserveur.fr", referrer: "https://rss.monserveur.fr/api/"
2019/04/15 11:27:01 [error] 6211#6211: *1 open() "/usr/share/nginx/htmlindex.php" failed (2: No such file or directory), client: 192.168.0.254, server: rss.monserveur.fr, request: "GET /yunohost/sso/portal.html HTTP/2.0", host: "rss.monserveur.fr"
2019/04/15 11:27:09 [error] 6211#6211: *1 open() "/usr/share/nginx/htmlindex.php" failed (2: No such file or directory), client: 192.168.0.254, server: rss.monserveur.fr, request: "GET /yunohost/sso/portal.html HTTP/2.0", host: "rss.monserveur.fr"
2019/04/15 11:27:19 [error] 6211#6211: *1 open() "/usr/share/nginx/htmlindex.php" failed (2: No such file or directory), client: 192.168.0.254, server: rss.monserveur.fr, request: "GET /yunohost/sso/portal.html HTTP/2.0", host: "rss.monserveur.fr", referrer: "https://rss.monserveur.fr/api/"
2019/04/15 11:44:58 [error] 6211#6211: *1 open() "/usr/share/nginx/htmlindex.php" failed (2: No such file or directory), client: 192.168.0.254, server: rss.monserveur.fr, request: "GET /yunohost/sso/portal.html HTTP/2.0", host: "rss.monserveur.fr"
2019/04/15 11:45:13 [error] 6211#6211: *1 open() "/usr/share/nginx/htmlindex.php" failed (2: No such file or directory), client: 192.168.0.254, server: rss.monserveur.fr, request: "GET /yunohost/sso/portal.html HTTP/2.0", host: "rss.monserveur.fr", referrer: "https://rss.monserveur.fr/api/"
2019/04/15 12:04:26 [error] 9086#9086: *326 open() "/usr/share/nginx/htmlindex.php" failed (2: No such file or directory), client: 192.168.0.254, server: rss.monserveur.fr, request: "GET /yunohost/sso/portal.html HTTP/2.0", host: "rss.monserveur.fr"
2019/04/15 12:04:46 [error] 9086#9086: *326 open() "/usr/share/nginx/htmlindex.php" failed (2: No such file or directory), client: 192.168.0.254, server: rss.monserveur.fr, request: "GET /yunohost/sso/portal.html HTTP/2.0", host: "rss.monserveur.fr", referrer: "https://rss.monserveur.fr/api/"
2019/04/15 12:06:20 [error] 9086#9086: *685 open() "/usr/share/nginx/htmlindex.php" failed (2: No such file or directory), client: 192.168.0.254, server: rss.monserveur.fr, request: "GET /yunohost/sso/portal.html HTTP/2.0", host: "rss.monserveur.fr", referrer: "https://rss.monserveur.fr/"
2019/04/15 12:06:21 [error] 9086#9086: *685 open() "/usr/share/nginx/htmlindex.php" failed (2: No such file or directory), client: 192.168.0.254, server: rss.monserveur.fr, request: "GET /yunohost/sso/portal.html HTTP/2.0", host: "rss.monserveur.fr"
2019/04/15 12:10:36 [error] 9086#9086: *326 open() "/usr/share/nginx/htmlindex.php" failed (2: No such file or directory), client: 192.168.0.254, server: rss.monserveur.fr, request: "GET /yunohost/sso/portal.html HTTP/2.0", host: "rss.monserveur.fr", referrer: "https://rss.monserveur.fr/api/"
2019/04/15 14:15:13 [error] 9082#9082: *1653 open() "/usr/share/nginx/htmlindex.php" failed (2: No such file or directory), client: 89.39.107.209, server: rss.monserveur.fr, request: "GET /yunohost/sso/portal.html HTTP/2.0", host: "rss.monserveur.fr"
2019/04/15 14:15:44 [error] 9082#9082: *1653 open() "/usr/share/nginx/htmlindex.php" failed (2: No such file or directory), client: 89.39.107.209, server: rss.monserveur.fr, request: "GET /yunohost/sso/portal.html HTTP/2.0", host: "rss.monserveur.fr"
2019/04/15 14:23:55 [error] 9082#9082: *1653 open() "/usr/share/nginx/htmlindex.php" failed (2: No such file or directory), client: 89.39.107.209, server: rss.monserveur.fr, request: "GET /yunohost/sso/portal.html HTTP/2.0", host: "rss.monserveur.fr"
2019/04/15 14:24:05 [error] 9082#9082: *1653 open() "/usr/share/nginx/htmlindex.php" failed (2: No such file or directory), client: 89.39.107.209, server: rss.monserveur.fr, request: "GET /yunohost/sso/portal.html HTTP/2.0", host: "rss.monserveur.fr"
2019/04/15 14:24:31 [error] 9082#9082: *1653 open() "/usr/share/nginx/htmlindex.php" failed (2: No such file or directory), client: 89.39.107.209, server: rss.monserveur.fr, request: "GET /yunohost/sso/portal.html HTTP/2.0", host: "rss.monserveur.fr", referrer: "https://rss.monserveur.fr/api/"
2019/04/15 15:35:54 [error] 9084#9084: *2161 open() "/usr/share/nginx/htmlindex.php" failed (2: No such file or directory), client: 89.39.107.209, server: rss.monserveur.fr, request: "GET /yunohost/sso/portal.html HTTP/2.0", host: "rss.monserveur.fr", referrer: "https://rss.monserveur.fr/api/"
2019/04/15 15:37:54 [error] 9084#9084: *2161 open() "/usr/share/nginx/htmlindex.php" failed (2: No such file or directory), client: 89.39.107.209, server: rss.monserveur.fr, request: "GET /yunohost/sso/portal.html HTTP/2.0", host: "rss.monserveur.fr", referrer: "https://rss.monserveur.fr/api/"
2019/04/15 15:46:35 [error] 9085#9085: *2494 open() "/usr/share/nginx/htmlindex.php" failed (2: No such file or directory), client: 192.168.0.254, server: rss.monserveur.fr, request: "GET /yunohost/sso/portal.html HTTP/2.0", host: "rss.monserveur.fr"
2019/04/15 17:12:52 [error] 9085#9085: *2494 open() "/usr/share/nginx/htmlindex.php" failed (2: No such file or directory), client: 192.168.0.254, server: rss.monserveur.fr, request: "GET /yunohost/sso/portal.html HTTP/2.0", host: "rss.monserveur.fr", referrer: "https://rss.monserveur.fr/api/"
2019/04/15 17:13:28 [error] 9085#9085: *2494 open() "/usr/share/nginx/htmlindex.php" failed (2: No such file or directory), client: 192.168.0.254, server: rss.monserveur.fr, request: "GET /yunohost/sso/portal.html HTTP/2.0", host: "rss.monserveur.fr"
2019/04/15 18:05:05 [error] 9085#9085: *2494 open() "/usr/share/nginx/htmlindex.php" failed (2: No such file or directory), client: 192.168.0.254, server: rss.monserveur.fr, request: "GET /yunohost/sso/portal.html HTTP/2.0", host: "rss.monserveur.fr"
2019/04/15 18:05:07 [error] 9085#9085: *2494 open() "/usr/share/nginx/htmlindex.php" failed (2: No such file or directory), client: 192.168.0.254, server: rss.monserveur.fr, request: "GET /yunohost/sso/portal.html HTTP/2.0", host: "rss.monserveur.fr"
2019/04/15 18:05:09 [error] 9085#9085: *2494 open() "/usr/share/nginx/htmlindex.php" failed (2: No such file or directory), client: 192.168.0.254, server: rss.monserveur.fr, request: "GET /yunohost/sso/portal.html HTTP/2.0", host: "rss.monserveur.fr"
2019/04/15 18:05:12 [error] 9085#9085: *2494 open() "/usr/share/nginx/htmlindex.php" failed (2: No such file or directory), client: 192.168.0.254, server: rss.monserveur.fr, request: "GET /yunohost/sso/portal.html HTTP/2.0", host: "rss.monserveur.fr"
2019/04/15 18:05:18 [error] 9085#9085: *2494 open() "/usr/share/nginx/htmlindex.php" failed (2: No such file or directory), client: 192.168.0.254, server: rss.monserveur.fr, request: "GET /yunohost/sso/portal.html HTTP/2.0", host: "rss.monserveur.fr"
2019/04/11 14:59:18 [error] 27942#27942: *376 open() "/var/www/nextcloud/yunohost/sso/portal.html" failed (2: No such file or directory), client: 192.168.0.254, server: nextcloud.monserveur.fr, request: "GET /yunohost/sso/portal.html HTTP/2.0", host: "nextcloud.monserveur.fr"
2019/04/11 16:38:11 [error] 27942#27942: *1502 open() "/var/www/nextcloud/yunohost/sso/portal.html" failed (2: No such file or directory), client: 192.168.0.254, server: nextcloud.monserveur.fr, request: "GET /yunohost/sso/portal.html HTTP/2.0", host: "nextcloud.monserveur.fr"
2019/04/11 16:40:05 [error] 27942#27942: *1502 open() "/var/www/nextcloud/yunohost/sso/portal.html" failed (2: No such file or directory), client: 192.168.0.254, server: nextcloud.monserveur.fr, request: "GET /yunohost/sso/portal.html HTTP/2.0", host: "nextcloud.monserveur.fr"
2019/04/11 16:40:14 [error] 27942#27942: *1502 open() "/var/www/nextcloud/yunohost/sso/portal.html" failed (2: No such file or directory), client: 192.168.0.254, server: nextcloud.monserveur.fr, request: "GET /yunohost/sso/portal.html HTTP/2.0", host: "nextcloud.monserveur.fr"
2019/04/11 17:16:56 [error] 27945#27945: *1798 open() "/var/www/nextcloud/yunohost/sso/portal.html" failed (2: No such file or directory), client: 192.168.0.254, server: nextcloud.monserveur.fr, request: "GET /yunohost/sso/portal.html HTTP/2.0", host: "nextcloud.monserveur.fr"
2019/04/11 17:18:01 [error] 27945#27945: *1798 open() "/var/www/nextcloud/yunohost/sso/portal.html" failed (2: No such file or directory), client: 192.168.0.254, server: nextcloud.monserveur.fr, request: "GET /yunohost/sso/portal.html HTTP/2.0", host: "nextcloud.monserveur.fr"
2019/04/11 17:18:11 [error] 27945#27945: *1798 open() "/usr/share/nginx/htmlindex.php/ynh_overlay.css" failed (2: No such file or directory), client: 192.168.0.254, server: nextcloud.monserveur.fr, request: "GET /ynh_overlay.css HTTP/2.0", host: "nextcloud.monserveur.fr"
2019/04/11 17:18:11 [error] 27945#27945: *1798 open() "/usr/share/nginx/htmlindex.php/ynhtheme/custom_overlay.css" failed (2: No such file or directory), client: 192.168.0.254, server: nextcloud.monserveur.fr, request: "GET /ynhtheme/custom_overlay.css HTTP/2.0", host: "nextcloud.monserveur.fr"
2019/04/11 17:18:13 [error] 27945#27945: *1798 open() "/var/www/nextcloud/yunohost/sso/portal.html" failed (2: No such file or directory), client: 192.168.0.254, server: nextcloud.monserveur.fr, request: "GET /yunohost/sso/portal.html HTTP/2.0", host: "nextcloud.monserveur.fr"
2019/04/11 17:20:32 [error] 27945#27945: *1798 open() "/usr/share/nginx/htmlindex.php/ynh_overlay.css" failed (2: No such file or directory), client: 192.168.0.254, server: nextcloud.monserveur.fr, request: "GET /ynh_overlay.css HTTP/2.0", host: "nextcloud.monserveur.fr"
2019/04/11 17:20:45 [error] 27945#27945: *1798 open() "/var/www/nextcloud/yunohost/sso/portal.html" failed (2: No such file or directory), client: 192.168.0.254, server: nextcloud.monserveur.fr, request: "GET /yunohost/sso/portal.html HTTP/2.0", host: "nextcloud.monserveur.fr"
2019/04/11 17:22:35 [error] 27945#27945: *1798 open() "/var/www/nextcloud/yunohost/sso/portal.html" failed (2: No such file or directory), client: 192.168.0.254, server: nextcloud.monserveur.fr, request: "GET /yunohost/sso/portal.html HTTP/2.0", host: "nextcloud.monserveur.fr"
2019/04/11 17:23:58 [error] 27942#27942: *2000 open() "/usr/share/nginx/htmlindex.php/ynh_portal.js" failed (2: No such file or directory), client: 192.168.0.254, server: nextcloud.monserveur.fr, request: "GET /ynh_portal.js HTTP/2.0", host: "nextcloud.monserveur.fr"
2019/04/11 17:23:58 [error] 27942#27942: *2000 open() "/usr/share/nginx/htmlindex.php/ynh_overlay.css" failed (2: No such file or directory), client: 192.168.0.254, server: nextcloud.monserveur.fr, request: "GET /ynh_overlay.css HTTP/2.0", host: "nextcloud.monserveur.fr"
2019/04/11 17:23:58 [error] 27942#27942: *2000 open() "/usr/share/nginx/htmlindex.php/ynhtheme/custom_portal.js" failed (2: No such file or directory), client: 192.168.0.254, server: nextcloud.monserveur.fr, request: "GET /ynhtheme/custom_portal.js HTTP/2.0", host: "nextcloud.monserveur.fr"
2019/04/11 17:23:58 [error] 27942#27942: *2000 open() "/usr/share/nginx/htmlindex.php/ynhtheme/custom_overlay.css" failed (2: No such file or directory), client: 192.168.0.254, server: nextcloud.monserveur.fr, request: "GET /ynhtheme/custom_overlay.css HTTP/2.0", host: "nextcloud.monserveur.fr"
2019/04/11 17:23:59 [error] 27942#27942: *2000 open() "/usr/share/nginx/htmlindex.php/ynh_overlay.css" failed (2: No such file or directory), client: 192.168.0.254, server: nextcloud.monserveur.fr, request: "GET /ynh_overlay.css HTTP/2.0", host: "nextcloud.monserveur.fr"
2019/04/11 17:23:59 [error] 27942#27942: *2000 open() "/usr/share/nginx/htmlindex.php/ynhtheme/custom_overlay.css" failed (2: No such file or directory), client: 192.168.0.254, server: nextcloud.monserveur.fr, request: "GET /ynhtheme/custom_overlay.css HTTP/2.0", host: "nextcloud.monserveur.fr"
2019/04/11 19:46:46 [error] 1508#1508: *967 open() "/var/www/nextcloud/yunohost/sso/portal.html" failed (2: No such file or directory), client: 192.168.0.254, server: nextcloud.monserveur.fr, request: "GET /yunohost/sso/portal.html HTTP/2.0", host: "nextcloud.monserveur.fr"
2019/04/11 19:49:56 [error] 1508#1508: *967 open() "/var/www/nextcloud/yunohost/sso/portal.html" failed (2: No such file or directory), client: 192.168.0.254, server: nextcloud.monserveur.fr, request: "GET /yunohost/sso/portal.html HTTP/2.0", host: "nextcloud.monserveur.fr"
2019/04/11 19:50:01 [error] 1508#1508: *967 open() "/var/www/nextcloud/yunohost/sso/portal.html" failed (2: No such file or directory), client: 192.168.0.254, server: nextcloud.monserveur.fr, request: "GET /yunohost/sso/portal.html HTTP/2.0", host: "nextcloud.monserveur.fr"
2019/04/11 19:51:09 [error] 1508#1508: *967 open() "/var/www/nextcloud/yunohost/sso/portal.html" failed (2: No such file or directory), client: 192.168.0.254, server: nextcloud.monserveur.fr, request: "GET /yunohost/sso/portal.html HTTP/2.0", host: "nextcloud.monserveur.fr"
2019/04/11 19:51:40 [error] 1508#1508: *967 open() "/var/www/nextcloud/yunohost/sso/portal.html" failed (2: No such file or directory), client: 192.168.0.254, server: nextcloud.monserveur.fr, request: "GET /yunohost/sso/portal.html HTTP/2.0", host: "nextcloud.monserveur.fr"
2019/04/11 19:51:45 [error] 1508#1508: *967 open() "/var/www/nextcloud/yunohost/sso/portal.html" failed (2: No such file or directory), client: 192.168.0.254, server: nextcloud.monserveur.fr, request: "GET /yunohost/sso/portal.html HTTP/2.0", host: "nextcloud.monserveur.fr"
2019/04/11 19:51:59 [error] 1508#1508: *967 open() "/var/www/nextcloud/yunohost/sso/portal.html" failed (2: No such file or directory), client: 192.168.0.254, server: nextcloud.monserveur.fr, request: "GET /yunohost/sso/portal.html HTTP/2.0", host: "nextcloud.monserveur.fr"
2019/04/11 19:52:01 [error] 1508#1508: *967 open() "/var/www/nextcloud/yunohost/sso/portal.html" failed (2: No such file or directory), client: 192.168.0.254, server: nextcloud.monserveur.fr, request: "GET /yunohost/sso/portal.html HTTP/2.0", host: "nextcloud.monserveur.fr"
2019/04/11 19:52:05 [error] 1508#1508: *967 open() "/var/www/nextcloud/yunohost/sso/portal.html" failed (2: No such file or directory), client: 192.168.0.254, server: nextcloud.monserveur.fr, request: "GET /yunohost/sso/portal.html HTTP/2.0", host: "nextcloud.monserveur.fr"
2019/04/11 19:52:07 [error] 1508#1508: *967 open() "/var/www/nextcloud/yunohost/sso/portal.html" failed (2: No such file or directory), client: 192.168.0.254, server: nextcloud.monserveur.fr, request: "GET /yunohost/sso/portal.html HTTP/2.0", host: "nextcloud.monserveur.fr"
2019/04/11 19:52:16 [error] 1508#1508: *967 open() "/var/www/nextcloud/yunohost/sso/portal.html" failed (2: No such file or directory), client: 192.168.0.254, server: nextcloud.monserveur.fr, request: "GET /yunohost/sso/portal.html HTTP/2.0", host: "nextcloud.monserveur.fr"
2019/04/11 19:52:19 [error] 1508#1508: *967 open() "/var/www/nextcloud/yunohost/sso/portal.html" failed (2: No such file or directory), client: 192.168.0.254, server: nextcloud.monserveur.fr, request: "GET /yunohost/sso/portal.html HTTP/2.0", host: "nextcloud.monserveur.fr"
2019/04/11 19:52:23 [error] 1508#1508: *967 open() "/var/www/nextcloud/yunohost/sso/portal.html" failed (2: No such file or directory), client: 192.168.0.254, server: nextcloud.monserveur.fr, request: "GET /yunohost/sso/portal.html HTTP/2.0", host: "nextcloud.monserveur.fr"
2019/04/11 19:52:27 [error] 1508#1508: *967 open() "/var/www/nextcloud/yunohost/sso/portal.html" failed (2: No such file or directory), client: 192.168.0.254, server: nextcloud.monserveur.fr, request: "GET /yunohost/sso/portal.html HTTP/2.0", host: "nextcloud.monserveur.fr"
2019/04/11 19:52:29 [error] 1508#1508: *967 open() "/var/www/nextcloud/yunohost/sso/portal.html" failed (2: No such file or directory), client: 192.168.0.254, server: nextcloud.monserveur.fr, request: "GET /yunohost/sso/portal.html HTTP/2.0", host: "nextcloud.monserveur.fr"
2019/04/11 19:52:34 [error] 1508#1508: *967 open() "/var/www/nextcloud/yunohost/sso/portal.html" failed (2: No such file or directory), client: 192.168.0.254, server: nextcloud.monserveur.fr, request: "GET /yunohost/sso/portal.html HTTP/2.0", host: "nextcloud.monserveur.fr"
2019/04/11 19:57:19 [error] 1508#1508: *967 open() "/var/www/nextcloud/yunohost/sso/portal.html" failed (2: No such file or directory), client: 192.168.0.254, server: nextcloud.monserveur.fr, request: "GET /yunohost/sso/portal.html HTTP/2.0", host: "nextcloud.monserveur.fr"
/usr/share/ssowat/access.lua:348: in function </usr/share/ssowat/access.lua:1>, client: 192.168.0.254, server: nextcloud.monserveur.fr, request: "GET /ynhtheme/custom_overlay.css HTTP/2.0", host: "nextcloud.monserveur.fr"
2019/04/11 21:55:39 [error] 1510#1510: *7200 open() "/usr/share/nginx/htmlindex.php/ynhtheme/custom_overlay.css" failed (2: No such file or directory), client: 192.168.0.254, server: nextcloud.monserveur.fr, request: "GET /ynhtheme/custom_overlay.css HTTP/2.0", host: "nextcloud.monserveur.fr"
2019/04/11 21:55:40 [error] 1510#1510: *7200 open() "/var/www/nextcloud/yunohost/sso/portal.html" failed (2: No such file or directory), client: 192.168.0.254, server: nextcloud.monserveur.fr, request: "GET /yunohost/sso/portal.html HTTP/2.0", host: "nextcloud.monserveur.fr"
2019/04/11 21:55:46 [error] 1510#1510: *7200 open() "/usr/share/nginx/htmlindex.php/ynhtheme/custom_overlay.css" failed (2: No such file or directory), client: 192.168.0.254, server: nextcloud.monserveur.fr, request: "GET /ynhtheme/custom_overlay.css HTTP/2.0", host: "nextcloud.monserveur.fr"
2019/04/11 21:55:47 [error] 1510#1510: *7200 open() "/usr/share/nginx/htmlindex.php/ynhtheme/custom_overlay.css" failed (2: No such file or directory), client: 192.168.0.254, server: nextcloud.monserveur.fr, request: "GET /ynhtheme/custom_overlay.css HTTP/2.0", host: "nextcloud.monserveur.fr"
2019/04/11 21:55:47 [error] 1510#1510: *7200 open() "/var/www/nextcloud/yunohost/sso/portal.html" failed (2: No such file or directory), client: 192.168.0.254, server: nextcloud.monserveur.fr, request: "GET /yunohost/sso/portal.html HTTP/2.0", host: "nextcloud.monserveur.fr"
2019/04/14 18:15:32 [crit] 6264#6264: *95141 connect() to unix:/var/run/php/php7.0-fpm-nextcloud.sock failed (2: No such file or directory) while connecting to upstream, client: 192.168.0.254, server: nextcloud.monserveur.fr, request: "PROPFIND /remote.php/dav/files/marleyr/ HTTP/2.0", upstream: "fastcgi://unix:/var/run/php/php7.0-fpm-nextcloud.sock:", host: "nextcloud.monserveur.fr"
2019/04/15 03:23:12 [crit] 14441#14441: *5 connect() to unix:/var/run/php/php7.0-fpm-nextcloud.sock failed (2: No such file or directory) while connecting to upstream, client: 192.168.0.254, server: nextcloud.monserveur.fr, request: "PROPFIND /remote.php/dav/files/marleyr/ HTTP/1.1", upstream: "fastcgi://unix:/var/run/php/php7.0-fpm-nextcloud.sock:", host: "nextcloud.monserveur.fr"
2019/04/15 18:56:27 [error] 9085#9085: *2494 open() "/var/www/nextcloud/yunohost/sso/portal.html" failed (2: No such file or directory), client: 192.168.0.254, server: nextcloud.monserveur.fr, request: "GET /yunohost/sso/portal.html HTTP/2.0", host: "nextcloud.monserveur.fr"
2019/04/15 18:56:27 [error] 9085#9085: *2494 open() "/var/www/nextcloud/ynhtheme/logo.png" failed (2: No such file or directory), client: 192.168.0.254, server: nextcloud.monserveur.fr, request: "GET /ynhtheme/logo.png HTTP/2.0", host: "nextcloud.monserveur.fr"
2019/04/15 18:57:03 [error] 9085#9085: *2494 open() "/usr/share/nginx/htmlindex.php/ynh_portal.js" failed (2: No such file or directory), client: 192.168.0.254, server: nextcloud.monserveur.fr, request: "GET /ynh_portal.js HTTP/2.0", host: "nextcloud.monserveur.fr"
2019/04/15 18:57:03 [error] 9085#9085: *2494 open() "/usr/share/nginx/htmlindex.php/ynhtheme/custom_portal.js" failed (2: No such file or directory), client: 192.168.0.254, server: nextcloud.monserveur.fr, request: "GET /ynhtheme/custom_portal.js HTTP/2.0", host: "nextcloud.monserveur.fr"
2019/04/15 18:57:03 [error] 9085#9085: *2494 open() "/usr/share/nginx/htmlindex.php/ynh_overlay.css" failed (2: No such file or directory), client: 192.168.0.254, server: nextcloud.monserveur.fr, request: "GET /ynh_overlay.css HTTP/2.0", host: "nextcloud.monserveur.fr"
2019/04/15 18:57:03 [error] 9085#9085: *2494 open() "/usr/share/nginx/htmlindex.php/ynhtheme/custom_overlay.css" failed (2: No such file or directory), client: 192.168.0.254, server: nextcloud.monserveur.fr, request: "GET /ynhtheme/custom_overlay.css HTTP/2.0", host: "nextcloud.monserveur.fr"
2019/04/15 18:57:39 [error] 9086#9086: *4515 open() "/usr/share/nginx/htmlindex.php/ynh_portal.js" failed (2: No such file or directory), client: 192.168.0.254, server: nextcloud.monserveur.fr, request: "GET /ynh_portal.js HTTP/2.0", host: "nextcloud.monserveur.fr"
2019/04/15 18:57:39 [error] 9086#9086: *4515 open() "/usr/share/nginx/htmlindex.php/ynh_overlay.css" failed (2: No such file or directory), client: 192.168.0.254, server: nextcloud.monserveur.fr, request: "GET /ynh_overlay.css HTTP/2.0", host: "nextcloud.monserveur.fr"
2019/04/15 18:57:39 [error] 9086#9086: *4515 open() "/usr/share/nginx/htmlindex.php/ynhtheme/custom_portal.js" failed (2: No such file or directory), client: 192.168.0.254, server: nextcloud.monserveur.fr, request: "GET /ynhtheme/custom_portal.js HTTP/2.0", host: "nextcloud.monserveur.fr"
2019/04/15 18:57:39 [error] 9086#9086: *4515 open() "/usr/share/nginx/htmlindex.php/ynhtheme/custom_overlay.css" failed (2: No such file or directory), client: 192.168.0.254, server: nextcloud.monserveur.fr, request: "GET /ynhtheme/custom_overlay.css HTTP/2.0", host: "nextcloud.monserveur.fr"
2019/04/15 18:57:46 [error] 9086#9086: *4515 open() "/usr/share/nginx/htmlindex.php/ynh_portal.js" failed (2: No such file or directory), client: 192.168.0.254, server: nextcloud.monserveur.fr, request: "GET /ynh_portal.js HTTP/2.0", host: "nextcloud.monserveur.fr"
2019/04/15 18:57:46 [error] 9086#9086: *4515 open() "/usr/share/nginx/htmlindex.php/ynh_overlay.css" failed (2: No such file or directory), client: 192.168.0.254, server: nextcloud.monserveur.fr, request: "GET /ynh_overlay.css HTTP/2.0", host: "nextcloud.monserveur.fr"
2019/04/15 18:57:46 [error] 9086#9086: *4515 open() "/usr/share/nginx/htmlindex.php/ynhtheme/custom_portal.js" failed (2: No such file or directory), client: 192.168.0.254, server: nextcloud.monserveur.fr, request: "GET /ynhtheme/custom_portal.js HTTP/2.0", host: "nextcloud.monserveur.fr"
2019/04/15 18:57:46 [error] 9086#9086: *4515 open() "/usr/share/nginx/htmlindex.php/ynhtheme/custom_overlay.css" failed (2: No such file or directory), client: 192.168.0.254, server: nextcloud.monserveur.fr, request: "GET /ynhtheme/custom_overlay.css HTTP/2.0", host: "nextcloud.monserveur.fr"
2019/04/15 18:57:47 [error] 9086#9086: *4515 open() "/usr/share/nginx/htmlindex.php/ynhtheme/custom_overlay.css" failed (2: No such file or directory), client: 192.168.0.254, server: nextcloud.monserveur.fr, request: "GET /ynhtheme/custom_overlay.css HTTP/2.0", host: "nextcloud.monserveur.fr"
2019/04/15 18:58:20 [error] 9086#9086: *4515 open() "/usr/share/nginx/htmlindex.php/ynh_portal.js" failed (2: No such file or directory), client: 192.168.0.254, server: nextcloud.monserveur.fr, request: "GET /ynh_portal.js HTTP/2.0", host: "nextcloud.monserveur.fr"
2019/04/15 18:58:20 [error] 9086#9086: *4515 open() "/usr/share/nginx/htmlindex.php/ynh_overlay.css" failed (2: No such file or directory), client: 192.168.0.254, server: nextcloud.monserveur.fr, request: "GET /ynh_overlay.css HTTP/2.0", host: "nextcloud.monserveur.fr"
2019/04/15 18:58:20 [error] 9086#9086: *4515 open() "/usr/share/nginx/htmlindex.php/ynhtheme/custom_portal.js" failed (2: No such file or directory), client: 192.168.0.254, server: nextcloud.monserveur.fr, request: "GET /ynhtheme/custom_portal.js HTTP/2.0", host: "nextcloud.monserveur.fr"
2019/04/15 18:58:20 [error] 9086#9086: *4515 open() "/usr/share/nginx/htmlindex.php/ynhtheme/custom_overlay.css" failed (2: No such file or directory), client: 192.168.0.254, server: nextcloud.monserveur.fr, request: "GET /ynhtheme/custom_overlay.css HTTP/2.0", host: "nextcloud.monserveur.fr"
2019/04/15 18:58:50 [error] 9086#9086: *4515 open() "/var/www/nextcloud/yunohost/sso/portal.html" failed (2: No such file or directory), client: 192.168.0.254, server: nextcloud.monserveur.fr, request: "GET /yunohost/sso/portal.html HTTP/2.0", host: "nextcloud.monserveur.fr"
2019/03/23 19:53:05 [error] 26042#26042: *1397 connect() to unix:/var/run/php/php7.0-fpm-wallabag2.sock failed (111: Connection refused) while connecting to upstream, client: 192.168.0.254, server: wallabag.monserveur.fr, request: "GET / HTTP/2.0", upstream: "fastcgi://unix:/var/run/php/php7.0-fpm-wallabag2.sock:", host: "wallabag.monserveur.fr", referrer: "https://monserveur.fr/yunohost/sso/"
2019/03/23 19:55:14 [error] 26564#26564: *1 connect() to unix:/var/run/php/php7.0-fpm-wallabag2.sock failed (111: Connection refused) while connecting to upstream, client: 192.168.0.254, server: wallabag.monserveur.fr, request: "GET / HTTP/2.0", upstream: "fastcgi://unix:/var/run/php/php7.0-fpm-wallabag2.sock:", host: "wallabag.monserveur.fr", referrer: "https://monserveur.fr/yunohost/sso/"
2019/03/23 19:55:14 [error] 26564#26564: *1 open() "/var/www/wallabag2/web/ynhpanel.js" failed (2: No such file or directory), client: 192.168.0.254, server: wallabag.monserveur.fr, request: "GET /ynhpanel.js HTTP/2.0", host: "wallabag.monserveur.fr", referrer: "https://wallabag.monserveur.fr/"
/usr/share/ssowat/access.lua:348: in function </usr/share/ssowat/access.lua:1>, client: 192.168.0.254, server: wallabag.monserveur.fr, request: "GET /wallassets/themes/_global/img/logo-square.png HTTP/2.0", host: "wallabag.monserveur.fr", referrer: "https://wallabag.monserveur.fr/"
2019/04/15 18:18:02 [error] 9086#9086: *4004 open() "/var/www/wallabag2/web/ynh_portal.js" failed (2: No such file or directory), client: 192.168.0.254, server: wallabag.monserveur.fr, request: "GET /ynh_portal.js HTTP/2.0", host: "wallabag.monserveur.fr", referrer: "https://wallabag.monserveur.fr/login"
2019/04/15 18:18:02 [error] 9086#9086: *4004 open() "/var/www/wallabag2/web/ynh_overlay.css" failed (2: No such file or directory), client: 192.168.0.254, server: wallabag.monserveur.fr, request: "GET /ynh_overlay.css HTTP/2.0", host: "wallabag.monserveur.fr", referrer: "https://wallabag.monserveur.fr/login"
2019/04/15 18:18:03 [error] 9086#9086: *4004 open() "/var/www/wallabag2/web/ynh_portal.js" failed (2: No such file or directory), client: 192.168.0.254, server: wallabag.monserveur.fr, request: "GET /ynh_portal.js HTTP/2.0", host: "wallabag.monserveur.fr", referrer: "https://wallabag.monserveur.fr/login"
2019/04/15 18:18:03 [error] 9086#9086: *4004 open() "/var/www/wallabag2/web/ynh_overlay.css" failed (2: No such file or directory), client: 192.168.0.254, server: wallabag.monserveur.fr, request: "GET /ynh_overlay.css HTTP/2.0", host: "wallabag.monserveur.fr", referrer: "https://wallabag.monserveur.fr/login"
Ces applications sont installées sur des sous-domaines, par contre j’ai SOGo qui est installé sur le domaine principal (monserveur.fr/SOGo) et là l’overlay marche très bien. J’ai également essayé sur machine virtuelle, les applications sont installées sur le domaine principale (yuno.test/leed, yuno.test/wallabag, etc) et aucun problème avec l’overlay. Le bug pourrait-il provenir de l’installation sur un sous-domaine ? Ou bien du raspberry pi ? Est-ce que certain-es ont le même problème que moi ? These apps are installed on sous-domaine, but I have SOGo installed on the main domain (monserveur.fr/SOGo) and the overlay works well. I also tried on virtual machine, apps are installed on the main domain (yuno.test/leed, yuno.test/wallabag, etc) and no problem with overlay. Could the bug come from installing on a subdomain? Or raspberry pi ? Do some have the same problem as me?  Sur yunohost en machine virtuelle, J’ai installer FreshRSS mais cette fois sur un sous-domaine (rss.yuno.test) et je retrouve la même erreur nginx 404 lors de l’appui sur l’overlay. Donc à priori le problème apparait sur les applications en sous-domaine. Avez vous des pistes pour résoudre ce problème ? On yunohost virtual machine, I installed FreshRSS but this time on a subdomain (rss.yuno.test) and I find the same error nginx 404 when clicking on the overlay. So a priori the problem appears on applications in subdomain. Do you have any leads to solve this problem?